Explore the realm of the unknown with these true stories of unexplained phenomena. Join expert ufologist and paranormal researcher Nomar Slevik as he shares fascinating stories of sightings and abductions centered in the Northeast's UFO hotspots. Discover the truth about lights in the sky and aliens on the ground from first-hand witnesses and experiencers. 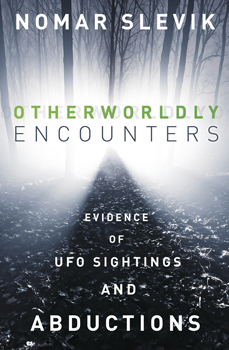 Otherworldly Encounters includes investigations of UFOs, men in black, crop circles, alien abductions, monsters, extraterrestrial biological entities, werewolves, balls of light, Mothman, and more. With reports dating back to the 1800s, this is an in-depth guide to phenomena that have puzzled and frightened witnesses for generations. Using the best technological equipment and immersive investigative techniques, Nomar Slevik shares shocking evidence that is truly out of this world.